Observation - My first of the year - UK and Ireland. Description: My first butterfly seen this year. Settled in urban back yard of terrace after three passes. Also returned the next day. 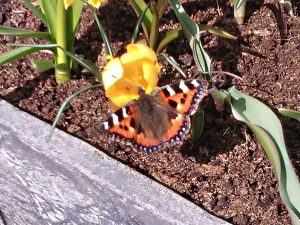 My first butterfly seen this year. Settled in urban back yard of terrace after three passes. Also returned the next day.